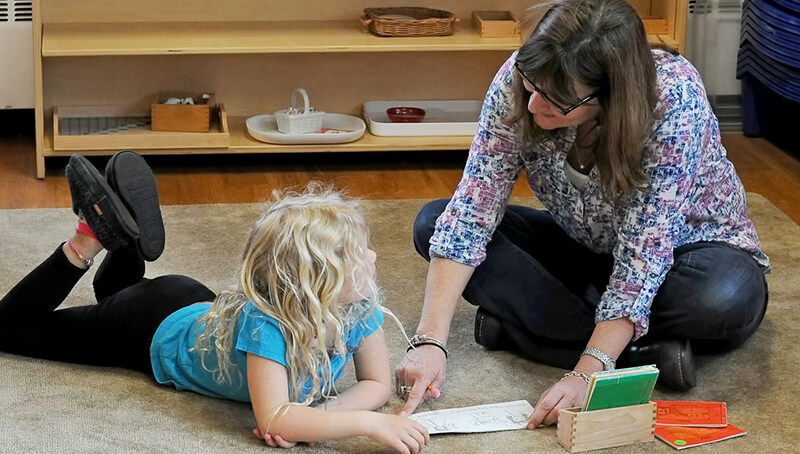 The five day program at Rose Hall is a unique blend of traditional Montessori curriculum and a warm, loving environment. Academically, the classroom is separated into 5 key curricular areas – Practical Life, Sensorial, Math, Language and Cultural. The core Montessori principals of order, coordination, concentration and independence are priorities throughout the classroom. At Rose Hall we believe that the development of these core executive functioning skills will assist in building lifelong learning skills. In addition to the 5 core areas, we enhance our curriculum with a variety of additional units including botany (planting, study of the life cycle of a plant), art history (we study a variety of artists including Jackson Pollack, Seurat, Mondrian, O’Keefe), music (we study wind, string and percussion instruments), the 5 senses and more. Each unit is taught with a hands-on approach – even down to creating a large art studio for Jackson Pollack Day. In addition to all of these amazing learning opportunities, we also have French class every Wednesday, as well as yoga once a month. Every day includes a beautiful Peace Circle, work time and a fun line time with songs, finger plays and even dancing. Gross motor play is an important component of every day.